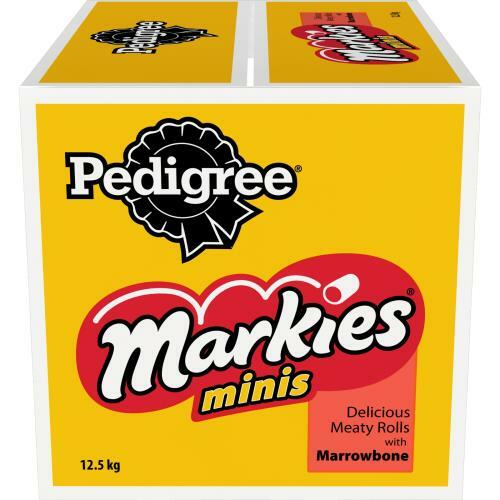 Pedigree Markies Mini Adult Dog Treats are tiny crunchy bites of goodness. The scrumptious and delicious treats are made from a recipe of Omega 3, Calcium and Vitamins and minerals so that your dog is getting the most premium ingredients which keep them dancing through life. Making food that does good Pedigree ensures that all of their dog foods and treats not matter how big or small help support the optimum health levels which keep your dog healthy and happy so that you can focus on lavishing them with attention.